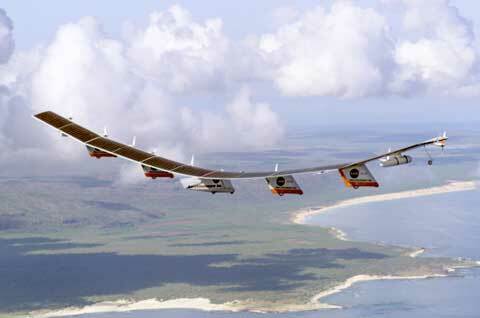 Helios was an experimental aircraft, solar powered, which could stay aloft overnight. AeroVironment and NASA have been working on this for years, with the Helios being the last of several modifications. Possible uses are communications and observation, it could replace satellites in orbit since it can fly at high altitudes while using no fuel. While not designed to carry a pilot, it is possible. The craft has a wingspan of 247 feet. 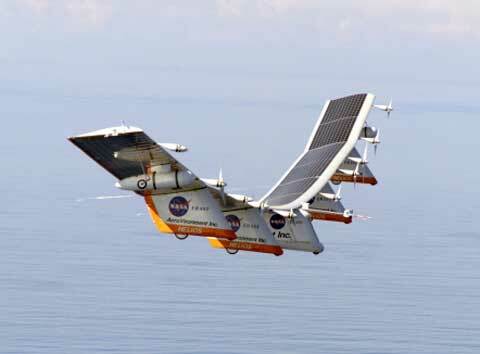 It is one of several remotely- piloted aircraft, also known as uninhabited aerial vehicles or UAV's, being developed as technology demonstrators by several small airframe manufacturers under NASA's Environmental Research Aircraft and Sensor Technology (ERAST) project. 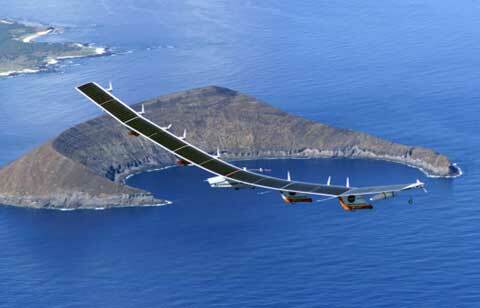 This unique craft is intended to demonstrate two key missions: the ability to reach and sustain horizontal flight at 100,000 feet altitude on a single-day flight, and to maintain flight above 50,000 feet altitude for at least four days, both on electrical power derived from non-polluting solar energy. Prior to its loss in an in-flight mishap in June 2003, the Helios Prototype set a world altitude record for propeller-driven aircraft of almost 97,000 feet. Air turbulence caused wing failure and the Helios was lost, but much was learned.